Please allow a 7 day lead time. 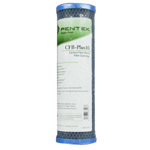 The Pentek CS1 Carbon Filter Cartridge Replacement uses advanced Fibre dyne carbon block technology for up to two times the chlorine taste and odor reduction and dirt holding capacity of standard carbon block filters. 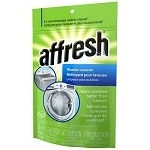 It also removes or reduces sediment, dirt, rust, and other impurities. Pentek C Series water filter cartridges are manufactured entirely from FDA approved materials and can be used for numerous in-home, undersink, commercial, food service, and light industrial uses. It is also ideal as a polishing filter when used in a process, closed-loop streams, or RO systems. The Pentek CS1 filter is also known by Pentek part number 155528-43.